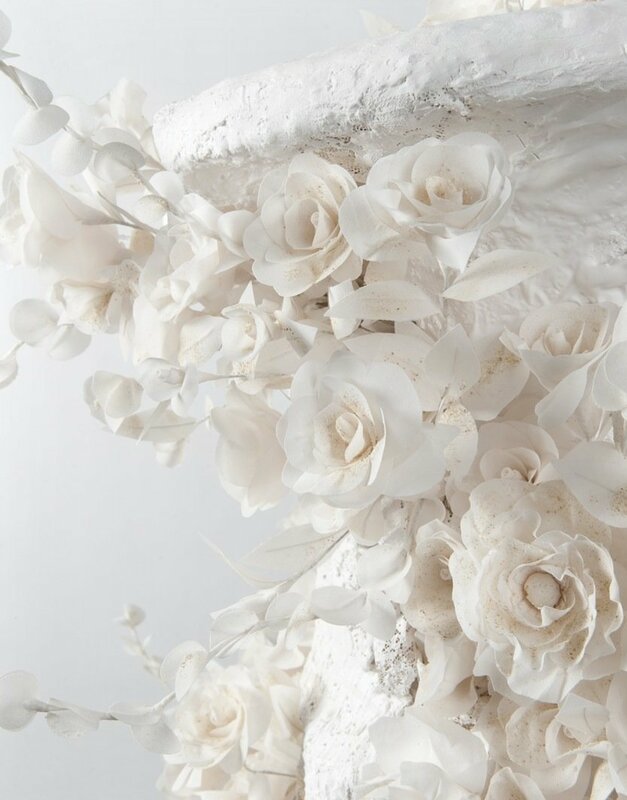 Jodie Carey, Untitled (Vanitas) Detail, 2010, Plaster, lace, chiffon, bone. A solo show by Uk based artist Jodie Carey, Somewhere, Nowhere presents the results of a three year bursary awarded to the artist by The Royal Borough of Kensington and Chelsea in partnership with Chelsea Arts Club Trust, alongside new work made for Pump House Gallery. Somewhere, Nowhere centres around ideas of time, memory and materiality. The focus is on a transitory, ephemeral and corporeal beauty, evoking notions of time passing, memories fading, absence and loss. Materials such as blood, bone and ash become pigments that stain the floor and mark the walls; traces of life simultaneously anonymous and intimate. Evoking the idea of a home and its history in the gallery space, Somewhere, Nowhere uses the house as a metaphor for what it is to be human. It speaks of peeling wallpapers, stained carpets, of life's general wear and tear, of homes left behind and ultimately the fragility and vulnerability of human life.